• 12.5 oz Black denim, 100% cotton outer. 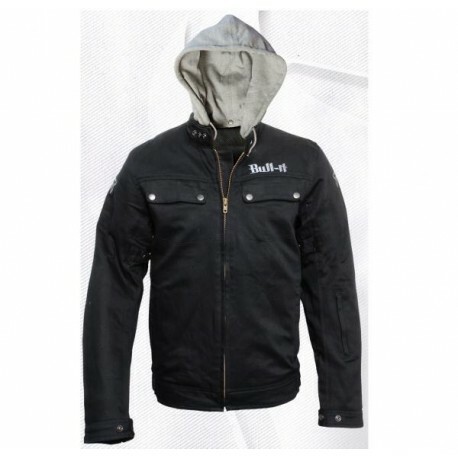 • Multiple outer and inner pockets, outer pockets with zip closures. • Bull-it Black and Silver embroidered sleeve logo. • Detachable grey cotton hoodie. • Connectable belt hoops inside to connect to your jeans belt. • Main seams use triple stitched construction. 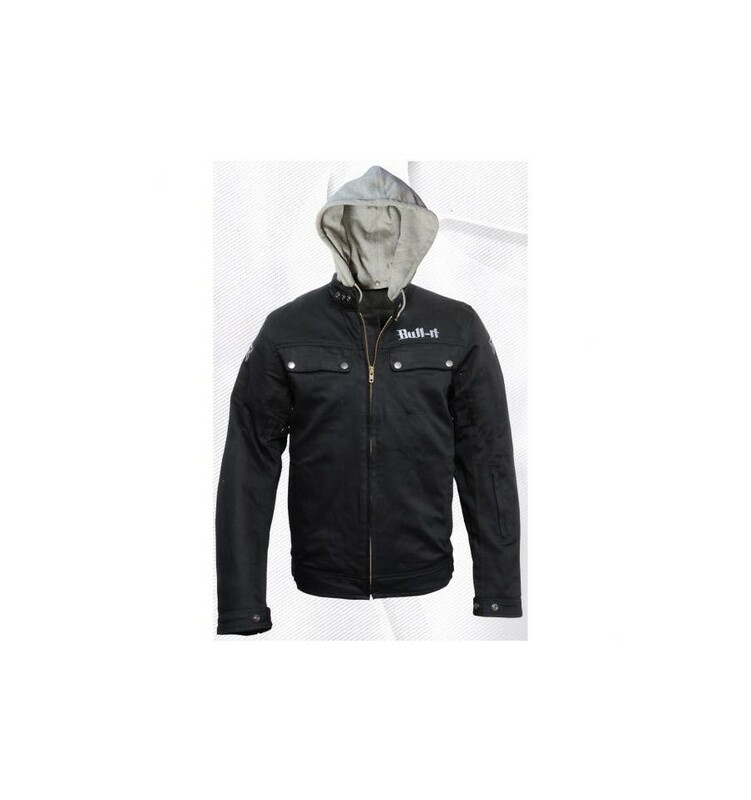 • 60% internal cover of Covec impact abrasion prevention layer feature areas include CE impact zones 1&2. • CE 1621 approved protectors in the shoulders and elbows.